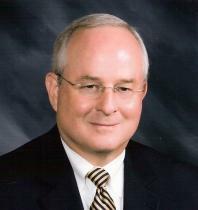 Robert H. Compton has been engaged in an active civil and criminal litigation practice at both the trial and appellate court levels in Meridian, Mississippi and around the State since 1978. As a member of the firm, the primary focus of his trial practice includes personal injury, DUI and criminal defense, contract disputes, commercial and complex litigation. His practice also includes transactional law, the drafting of contracts, last will and testaments, loan closings, transfers of business interests, business formations, and school law. Mississippi, where Robert currently serves as a Deacon, Chairman of the Personnel Committee, and Devotional Leader for the weekly Iron Men Breakfast Group. They have two married daughters, and four grandchildren. Spending time with family, especially grandchildren; hunting, fishing, hiking, and working on the family tree farm.